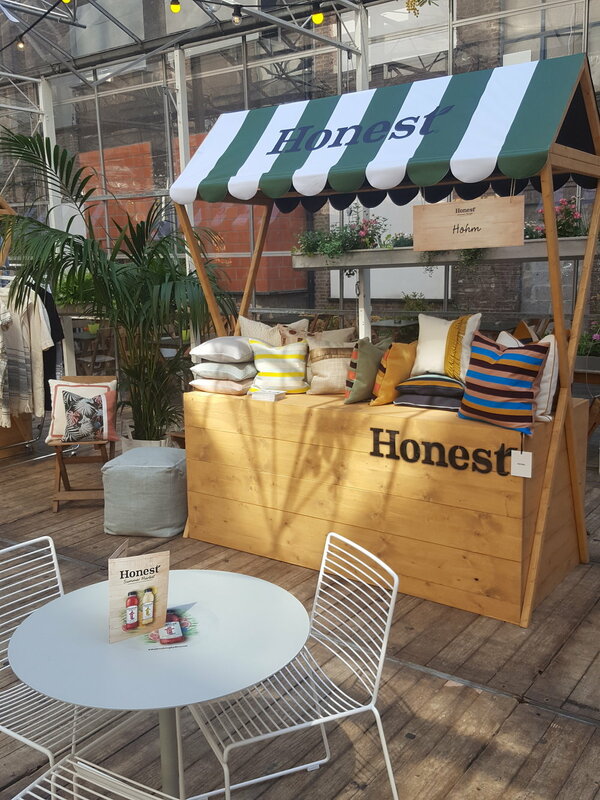 Last weekend we took part in the first edition of the Honest Summer Market held at Plein Publiek in Antwerp. Alongside the launch of the new “Honest” fruit juice drink, Noemie Wolfs (host of the market) selected 10 local artisans to be discovered. It was necessary that we share the same Honest philosophy; creative, authentic, and ecological. The participants included: Tartelies, DOYOU studio, Wildflowers & Wodka, Jasmien Witvrouwen Jewelry, Rarámuri Sandals, Ophelia lingerie, Hohm, Pluto on the moon, Hoeked Doughnuts, Kaart Blanche and NimZu. The market was also organised in two other Belgian cities; Gent and Liege taking part on consecutive weekends. For more information about Honest Belgium, click on the button below.